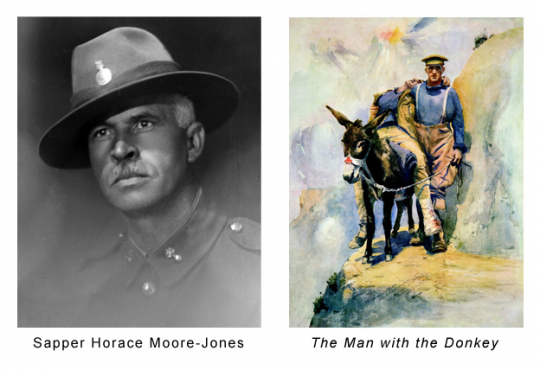 Soldier, artist & teacher whose WWI Gallipoli Campaign painting ‘Man with the Donkey’ is the enduring Anzac image. This is acclaimed one of the most important pieces of Australasian war art, symbolic of the nation-building sacrifice of war & birth of our nationhood. Yet the artist is rarely recognised, historically invisible, his life and heroic death in Hamilton largely an untold story. Horace Moore-Jones is an important character from New Zealand’s early 20th Century and a history-maker. 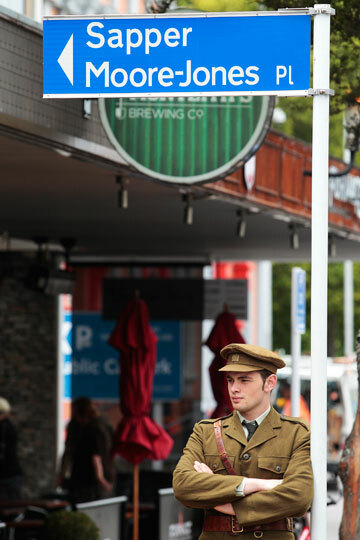 His celebrity status in his own time came from the nation’s formative First World War years and the disastrous Gallipoli Campaign. 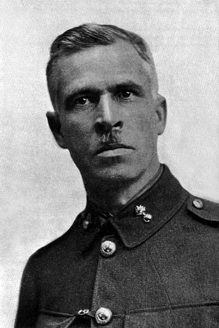 Tall and handsome, his skills as a war artist and descriptive lecturer brought the reality of that bloody battlefield to the people at home “quite free from the ridiculous tripe served up by the Press from time to time to take the place of news” (The Bulletin, 12.7.1917). 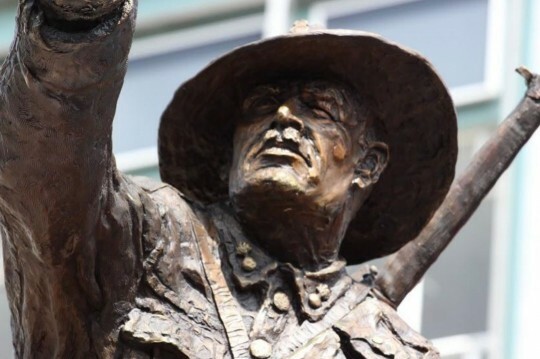 The soldier, artist, and teacher’s heroic death in Hamilton in 1922 generated the initial public calls for a permanent national memorial in his honour. It was 40 years later that the Waikato Society of Arts organised the first national retrospective Moore-Jones exhibition in1964, to honour the artist and mark Hamilton’s centennial plus the 50th anniversary of WWI. In the late 1980s Auckland City toyed with the idea of a Moore-Jones statue and Mayor not yet Dame Catherine Tizard wrote “if a sponsor could be found I imagine it would have a great deal of attraction”, although she was not sure the Aotea Centre was ‘quite the right site’ (letter 18.1.1989). In the April 1989 edition of the RSA Review, columnist Jim Henderson quoted this response and repeated his suggestion ‘that thought be given, in earnest, to a compassionate, and for half a century-and-more neglected in New Zealand, an inspirational event in our history”. He termed this the “Gallipoli Red Cross epic”, and called for a statue to ‘commemorate and honour, with ever-growing homage, a great citizen and remarkable New Zealander” – Horace Moore-Jones, the artist who captured the innovative battlefield service with his poignant watercolour ‘Man with the Donkey’. Without him and this painting, Henderson wrote, “emphatically, there would have been no Gallipoli Donkey epic of compassion and humanity” (and he included New Zealanders Richard Henderson the field medic painted, and James Jackson who had photographed the battlefield sight). Jim Henderson also wrote that Canberra War Memorial’s bronze donkey had “nose and ears polished by the stroking and loving hands of thousands passing by”. The Anzac donkey ambulance was replicated in bronze by the NZRSA at the Wellington War Memorial in 1990 – to acknowledge the Gallipoli field medics. But not the artist who painted the image retained in so many minds and featured in other statues in Australia and Britain, as well as in commemorative medals, stamps, songs and books. In 2011, Hamilton artist and writer Campbell Smith prodded the public memory with his High School Centennial play ‘Sapper Moore-Jones’. A year later, Hamilton City Council supported TOTI’s application to memorialise the artist’s name on the tiny cul-de-sac where Horace Moore-Jones gave up his own life saving others from the Hamilton Hotel fire of 1922. On 30 November 2012 ‘Marlborough’ became the nation’s first ‘Sapper Moore-Jones Place’. Read more info here. Officially unveiled on Friday 27 March 2015. Victoria Street, Hamilton. Read more info here.